This is my third year of playing the Reading Bingo Card. I like it because during the year I don’t look for books to fill in the card – I just read what I want to read and then see whether the books I’ve read will match the squares. And here is my completed card for 2017. 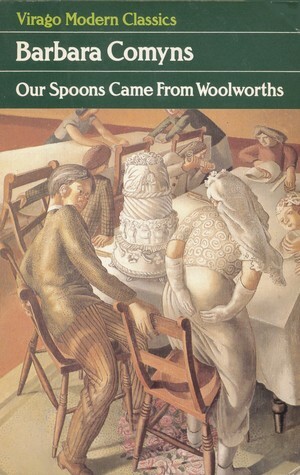 Our Spoons Came from Woolworths by Barbara Comyns. 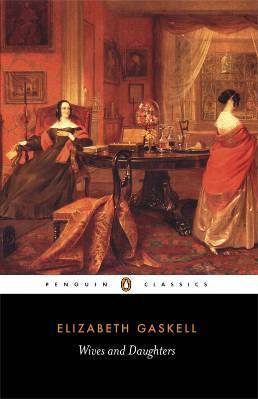 I’ve only read three classics this year – Wives and Daughters, South Riding by Winifred Holtby and this one. Of the three I guess Our Spoons Came from Woolworths could be the least well known. It’s set in 1930s London where Sophia and her husband Charles (both artists) live a life of poverty whilst he struggles to sell his artwork. From a lighthearted and comic beginning the mood of the novel darkens as it moves towards an inevitable tragic climax. The Eagle of the Ninth by Rosemary Sutcliff was first published in 1954. Sometime in 117 AD, the Ninth Hispana Legion, led by Marcus Flavius Aquila’s father had marched north from its base at Eburacum (York) into the mists of Northern Britain to deal with a rising among the Caledonian tribes and was never heard of again – their Eagle Standard was also lost. Twenty years later Marcus sets out to discover the truth about his father’s disappearance, what had happened to the Legion and if possible, to recover the Eagle, and thus to redeem his father’s honour. 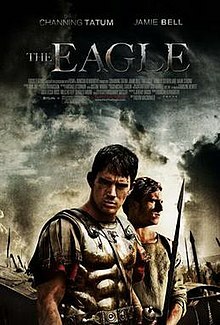 The movie, The Eagle, starring Channing Tatum, Jamie Bell and Donald Sutherland was released in 2011. 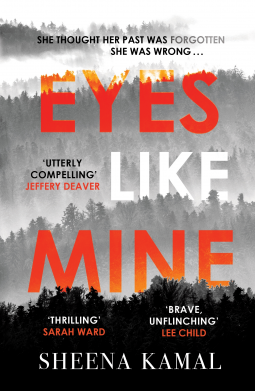 Eyes Like Mine by Sheena Kamala is an excellent psychological suspense novel. The main focus of the book is Nora, her traumatic background and her search for her daughter, Bonnie, now a teenager, who she gave away as a new-born baby. The plot is intricate, complicated and fast moving, highlighting various issues such as mixed race inheritance and differences in treatment based on skin colour, homelessness, and environmental issues. I loved it. The 12.30 from Croydon by Freeman Wills Crofts. The 12.30 is the plane from Croydon to Paris on which Andrew Crowther is found dead. We know from the start who the murderer is and the focus is on the psychology of the murderer, how the murder was committed resulting in a story of intrigue, betrayal, obsession, justification and self-delusion. 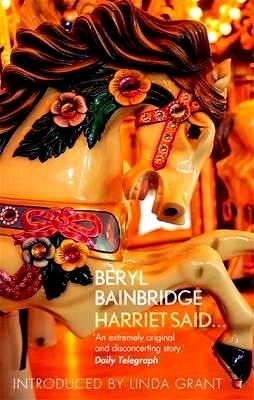 Harriet Said by Beryl Bainbridge, a dark story that turns child abuse on its head. It is an unsettling and chilling book, written in 1958 when Beryl Bainbridge was 25. It was not published until 1972 because of its subject matter. Previously editors had rejected it – ‘What repulsive little creatures you have made the central characters, repulsive almost beyond belief!‘ wrote one editor. It is set just after the Second World War in the Formby sand dunes on the outskirts of Liverpool. During their school holidays the two girls make their way to the beach each evening, where they become friends with a group of lonely, dispirited middle-aged men. I’m spoilt for choice in this category, with lots of female authors to choose from. 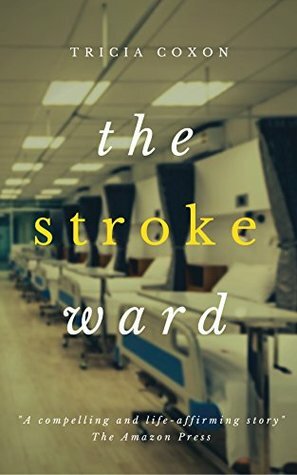 In the end I’ve picked The Stroke Ward:A portrait of a century of life in the north east of England, told through the lives of six very different women by Tricia Coxon because this is a little different from most of the books I’ve read this year. It’s fiction, inspired by Tricia’s three week sojourn in a stoke ward in Northumberland when she began to imagine the lives and history of the women on the ward, their past and what the future would hold for them. I know the author, but she did not ask me to read her book and I bought my copy. And I was delighted that I loved it. 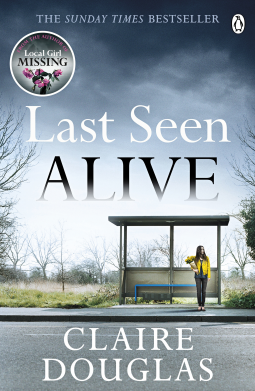 I could have chosen any one of the many crime fiction novels I’ve read this year, but I’ve picked Last Seen Alive by Claire Douglas. Jamie and Libby arrive at their house swap in the Roseland Peninsula in Cornwall and I felt the suspense and tension as they explored the house by the sea. Strange things happen and Jamie questions Libby about her past. He knew that Karen, her best friend had died in a fire when the two of them were in Thailand and that Libby had been lucky to escape. 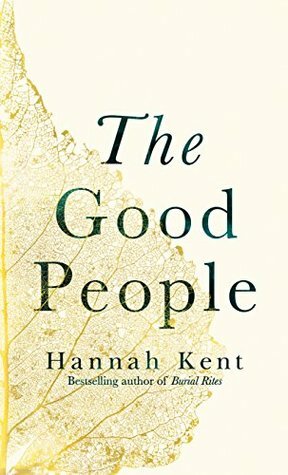 But she doesn’t want to talk about that and she knows that he is keeping things from her too.It’s one of those books that keeps you guessing right up to the end and this one is excellent, dramatic, tense and so very, very twisty and I loved it. 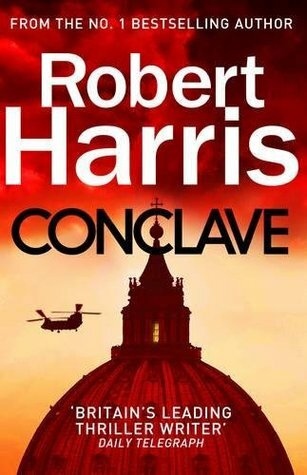 Conclave by Robert Harris is about an election of a Pope and I found it absolutely fascinating as the process of the election unfolded. As the 118 Cardinals locked in the Sistine Chapel progress through the stages of the election, whittling down the candidates to just a few, lots of secrets, scandals and disagreements are revealed. It becomes increasingly tense as they reach their conclusion. 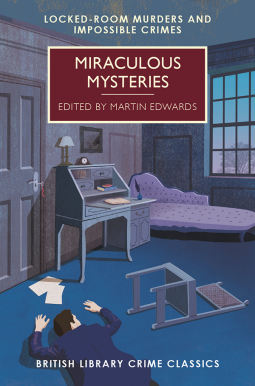 Miraculous Mysteries: Locked Room Mysteries and Impossible Crimes edited by Martin Edwards. A collection of 16 stories – Martin Edwards has prefaced each one with a brief biographical note. Authors include – Arthur Conan Doyle, G K Chesterton, Michael Innes, Margery Allingham and Dorothy L Sayers. 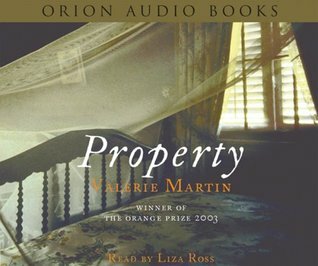 For this square I’ve chosen an audio book, Property by Valerie Martin because this is the only one I’ve listened to this year. In fact it’s the only audio book I’ve listened to for several years. We listened to it in the car as we travelled, visiting family and friends in Buckinghamshire, Wales and the Lake District. It’s set in America’s deep South in the early nineteenth century: a story of freedom, both political and personal. Manon Gaudet is unhappily married to the owner of a Louisiana sugar plantation. She misses her family and longs for the vibrant lifestyle of her native New Orleans. The tension revolves around Sarah, a slave girl given to Manon as a wedding present from her aunt, whose young son Walter is living proof of where Manon’s husband’s inclinations lie. This private drama is played out against a brooding atmosphere of slave unrest and bloody uprisings. 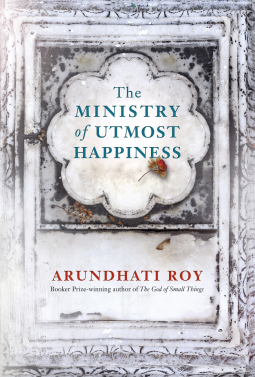 The Ministry of Utmost Happiness by Arundhati Roy – a book that is a ‘journey across the Indian subcontinent from the cramped neighbourhoods of Old Delhi and the glittering malls of the burgeoning new metropolis to the snowy mountains and valleys of Kashmir, where war is peace and peace is war, and from time to time ‘normalcy’ is declared.’ It’s a heartbreaking book, which doesn’t spare the details. Not my favourite book of the year – I was relieved to finish it. 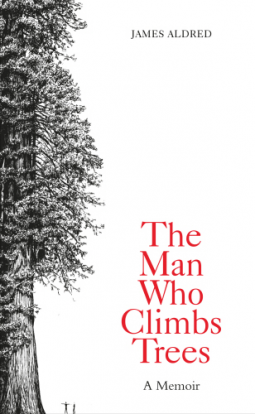 The Man Who Climbs Trees by James Aldred – a wonderful book, I loved it. James Aldred, a professional tree climber, wildlife cameraman, and adventurer, explains how he discovered that trees are places of refuge as well as providing unique vantage points to view the world. His travels brought him into contact with dozens of different religions and philosophies all containing ‘profound elements of truth’ that he respects very much, concluding that ‘spirituality is where you find it’ and he finds it ‘most easily when up in the trees’. 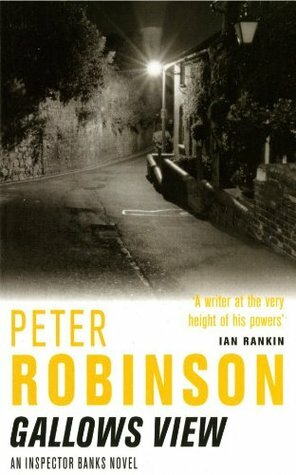 Gallows View by Peter Robinson, his first book and the first in his Inspector Banks series. It’s set in Eastvale in the Yorkshire Dales. There’s a peeping tom in the area, targeting young, blonde women, following them as they leave the pub and then watching as they undress for bed and there is also spate of break-ins by two balaclava-wearing thugs who rob old ladies and vandalize their homes. Then Alice Matlock, an old woman, living on her own, is is found dead in her ransacked house in Gallows View, a row of old terraced cottages. Many of the books I read these days are books I’ve heard about on line. 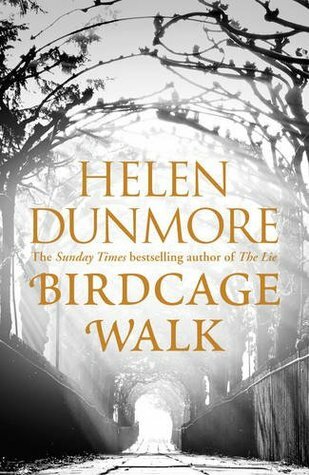 I’ve chosen Birdcage Walk by Helen Dunmore because I was completely absorbed in this book as I read it. It’s historical fiction, although I think it’s mainly a meditation on death and the legacy we leave behind. It is Helen Dunmore’s last book, but the first one of hers I’ve read. The time is 1792 and Europe is seized by political turmoil and violence. Lizzie Fawkes has recently married John Diner Tredevant, a property developer who is heavily invested in Bristol’s housing boom, and he has everything to lose from social upheaval and the prospect of war. 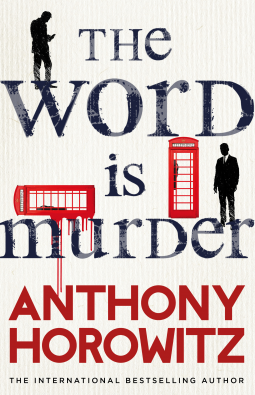 The Word is Murder by Anthony Horowitz, a very clever and different type of murder mystery. I don’t think I’ve read anything like it before, one in which the author himself plays a major role. Diana Cowper was killed later the same day after making the arrangements for her funeral. She was strangled in her own home. I was totally unable to solve the mystery, the clues were all there, but I was so involved in sorting out what was real and what wasn’t and enjoying the puzzle that I completely missed them. 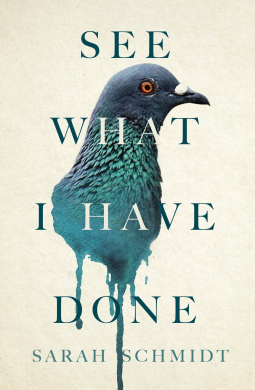 See What I have Done by Sarah Schmidt, a work of fiction based on true events, about the murder of Andrew Borden and his second wife, Abby in 1892. Andrew’s daughter, Lizzie, was charged with the murders. She was tried and was acquitted in June 1893 and speculation about the murders and whether Lizzie was guilty or not continues to the present day. I think it’s eerie and compelling, a mesmerising book. 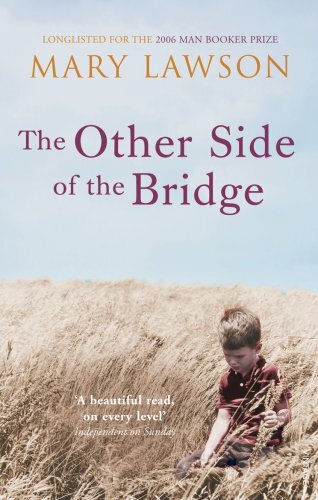 The Other Side of the Bridge by Mary Lawson, a beautiful book set in in Northern Canada about two brothers, Arthur and Jake Dunn who grow up on a small farm near Struan (a fictional town) in the 1930s. I’ve had this book for 10 years and was delighted to find it was just as good as her first book, Crow Lake. It’s one of the best books I’ve read this year. 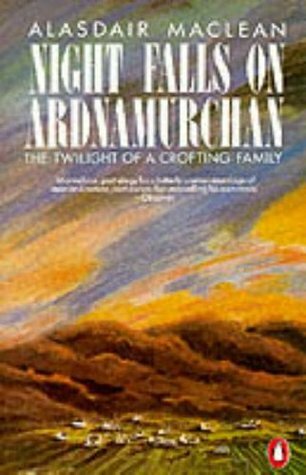 Night Falls on Ardnamurchan: The Twilight of a Crofting Family by Alasdair Maclean is a book recommended by a member of my local book group. Alasdair Maclean was a Scottish poet, born in Glasgow. He left school at fourteen to work in the Clydeside shipyards. In his late thirties he read English at Edinburgh University, later returning to the family croft at Sanna in Ardnamurchan to write. The main section of the book is made up of extracts from his father’s journals forming a factual account of his daily life on the croft covering two years, a decade apart: 1960 and 1970, a fascinating book describing life in a dying community. 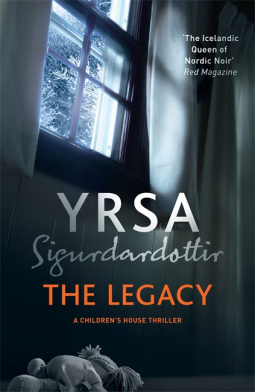 The Legacy by Yrsa Sigurdardottir was my first venture into Icelandic Noir and the first in a new series – the Children’s House thriller series. There are some particularly dark and nasty murder scenes and it’s dark, mysterious and very cleverly plotted, full of tension and nerve-wracking suspense. Seven-year old Margrét wakes her mother, frightened because there is a man in the house. What follows is the first horrifying murder (read it quickly and try not to linger over the details because the pictures they paint don’t bear thinking about). 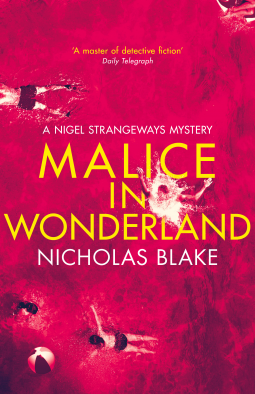 Malice in Wonderland by Nicolas Blake, first published in 1940. Another book with allusions to Lewis Carroll’s Alice in Wonderland. But this Wonderland is a holiday camp, set on a cliff top overlooking the sea. 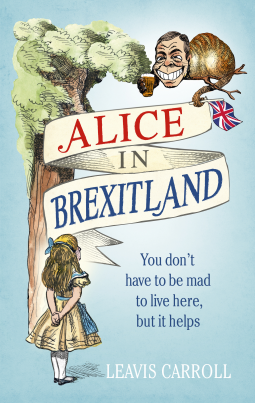 And all is not well in Wonderland as there is a prankster in the camp , the self-styled ‘Mad Hatter’, who is playing nasty and cruel practical jokes on the holiday makers. Swimmers are ducked in the sea and held down, tennis balls are coated in treacle, left with a note that refers to a part of the dormouse’s story in Alice in Wonderland. Then the jokes get more dangerous. 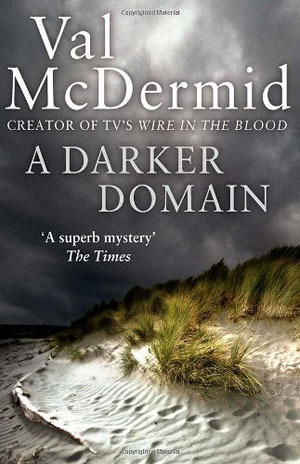 A Darker Domain by Val McDermid the second book in her Kate Pirie series. I like Karen Pirie, who had been a Detective Constable in the second part of the first book, The Distant Echo. Now she is a Detective Inspector in charge of the Cold Case Review Team in Fife. The Miners’ Strike of 1984 is the backdrop to the mystery of Mick Prentice’s disappearance. It is intricately plotted, with a large cast of characters and it’s deceptively easy to read – it’s easy to pass over significant facts that you realise later are of importance. 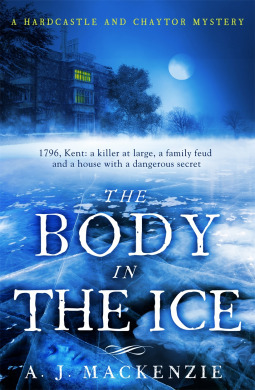 The Body in the Ice by A J MacKenzie, the 2nd Hardcastle and Chaytor Mystery set in Romney Marsh and the surrounding countryside in 1796-7. The winter of 1796-7 was exceptionally harsh and cold and on Christmas Day in the village of St Mary in the Marsh, on the Kent coast Amelia Chaytor is spending the day with her friends, spinsters Miss Godfrey and Miss Roper when their maidservant bursts in and announces that she has seen someone at New Hall stables, frozen into the ice face down. I loved this way of looking back at the books I’ve read this year. My thanks to Cleo for this idea! Marina, I haven’t read the next two. Rosemary Sutcliff was one of my favourite authors when I was a child and I particularly loved Brother Dusty Feet! You have such a great selection of books here, Margaret. What especially impresses me is what a varied group they are! Thanks, Margot – I love reading a variety of genres. I’ve only read a couple of these books, one being Wives and daughters, and the other being Property (a book I’d completely forgotten about until I saw it listed in your bingo. I checked my records and found I read it in 2005 and rated it really highly! I love that a couple of your books play on the Alice in Wonderland title. That would be a good bingo category – title inspired by another title! This is a great way to look back at your reading. Congratulations on completing the card! Now I’m wondering if I could find books for all the squares too. Thank you, Jessica. It’s actually easier than the What’s in a Name as you just read whatever you want and then see if they fit the squares. You’re right – there’s no pressure – which makes all the difference. Well done! A great, eclectic selection with several that I’ve enjoyed as much as you and others I’ve enjoyed far less than you… 😉 Here’s to another great year of reading in 2018! Thanks – I’m a fan of eclectic! 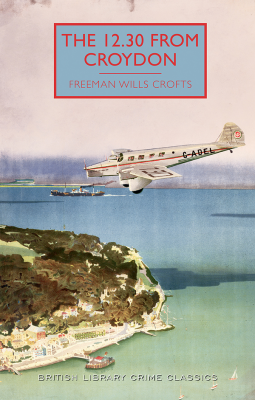 I’m part way through my second experience with Freeman Wills Crofts. He’s a master at plotting isn’t he? So meticulous in his attention to detail….